Feneberg operates in the Allgäu region of South-Bavaria. 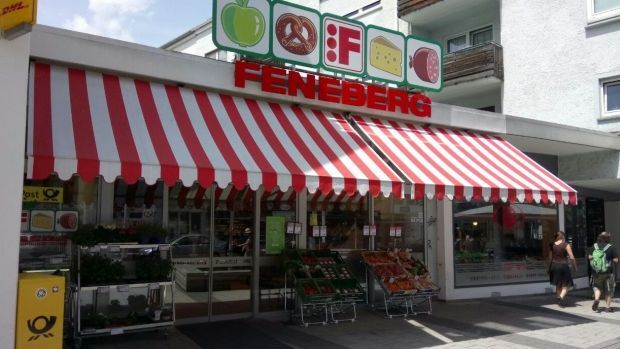 Regional German retailer Feneberg has reportedly agreed to a closer co-operation with Germany’s largest grocer Edeka, Lebensmittel Zeitung writes. The family-owned company already sources some of its goods via Edeka's Südbayern division. As a result, the retailer also sells Edeka's Gut & Günstig economy private label products. However, logistics have so far been handled independently. The new contract would provide Feneberg with all rights and duties of an Edeka independent shopkeeper. That means that Feneberg owners Hannes und Christof Feneberg could potentially become members of the Edeka board. As Feneberg is already reliant on Edeka when it comes to buying, this move would be the next logical step. The family-owned company made a loss in the financial year 2015/2016 and seems to have found the solution in a future with Edeka. However, as Feneberg is locally anchored in its home region (Allgäu, South of Bavaria), it will likely try to maintain its current brand image. Yet it would make sense for the retailer to leverage the partnership through the listing of further nationally popular Edeka private label lines. In addition, Feneberg would be able to benefit from Edeka’s funding for expansion and gain access to its logistics. This could help lower costs for the regional player. However, Feneberg would have to find the right balance between being an Edeka merchant and still being recognized as the local hero in its region. Continuing to operate its own bakeries and butcheries, which produce some of the retailer’s private labels (e.g. meat and bakery products as well as convenience and fresh pasta), would help it highlight its strong regional roots. Feneberg’s extended partnership with Edeka is yet an example of the ongoing consolidation of the German grocery market. Over the past few years, players such as Tengelmann and Coop both had to accept M&As. However, for the two largest grocers in Germany, Edeka and Rewe Group, further acquisitions will become increasingly difficult as German competition authorities would likely veto these. Edeka’s acquisition of Tengelmann was for example already an arduous struggle for the retailer. 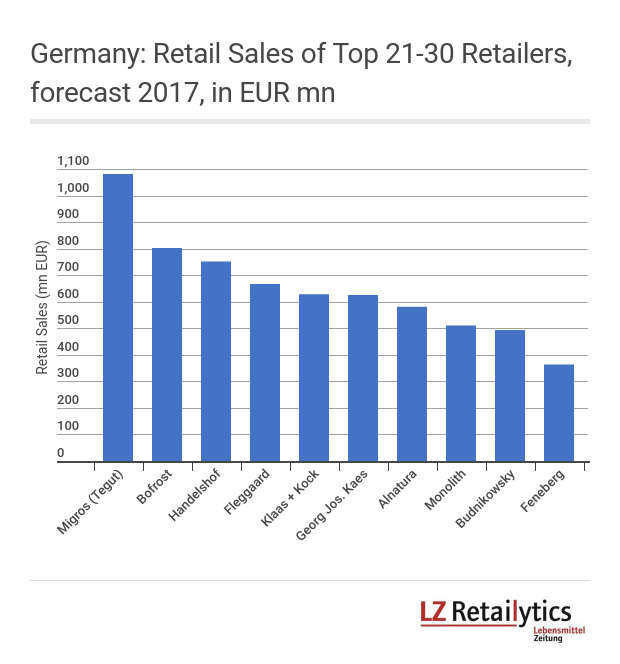 This would open up opportunities for medium-sized players like Bartels-Langness (retail sales of EUR5bn in 2017) and Bünting (retail sales of EUR1.6bn in 2017) to increase their economies of scale by acquiring or strengthening their existing relationships with the remaining small retailers in the country.